Like the Bible of Christianity, the Vedas of Hinduism or the Koran of Islam, the Guru Granth Sahib, also known as the Adi Granth, is the main scripture of Sikhism. Compared to other religions, Sikhism is a religion of recent origin, founded in the 15th Century AD by its founder Sri Guru Nanak. Although like Islam it believes in the oneness of God and is opposed to idol worship, in many respects it is an offshoot of Hinduism and is much closer to Hinduism. It evolved primarily out of Hinduism, in line with the Bhakti marg or the devotional path of Hinduism, as a kind of reform movement In many respects, it is much more closer to Hinduism than either Buddhism or Jainism and unlike the latter it maintained a very healthy relationship with Hinduism throughout. The relationship between Hinduism and Sikhism can be compared to that of a son and father, where the son though a grown up individual has never lost his respect towards his father and took upon himself the responsibility of taking care of the latter. In all fairness we should say that during the Muslim rule and the subsequent British rule of India, Hinduism owed as much to Sikhs as to Hindus for its survival and continuity. Whenever it became vulnerable to the outside attacks and threats, the Sikhs stepped themselves into the role of the Kshatriyas and defended the land as well as the faith like true warriors of God. Whatever may be the case, however, those who study the Guru Granth Sahib are bound to realize that with regard to the emphasis it lays on pure and unconditional devotion to God, on a life that is dedicated completely to the remembrance of God, to the chanting of His Glory, His words and His Name, and the importance and necessity of a true Guru in ones spiritual salvation, Sikhism stands apart as a purely devotional religion and is way beyond all the known religions as an expression of pure and unconditional love to God. In its philosophy and emphasis it transcends all faiths. Because of its simplicity and unpretentious approach to God, it does not hurt, beyond tolerable limits, the religious sentiments or beliefs of any. And irrespective of the religion, the caste or the creed to which each belongs, it has the potential to appeal to all and inspire all. Sikhism became a religion by itself due to the untiring work and sacrifices made by the subsequent nine Gurus. The Sikh Gurus were sensitive to the social problems of their times and rejected many evils of Hindu society, especially the caste system, the prevalent superstition and excessive ritualism.They made Sikhism a popular religion in many parts of northern India, especially the Punjab region and many parts of northern India. The Gurus accepted many basic beliefs of Hinduism such as karma and rebirth and also used the names of some Hindu divinities in their Kirtans (musical songs) to extol the virtues of God or express their love for Him. It should however be remembered that Sikhism does not accept Hindu divinities and does not advocate worship of any divinities or idols other than God Himself in his Highest aspect. In its temperament and approach Sikhism stands apart from both Hinduism and Islam and lays down its own ground rules for the worship of God. The Sikh Gurus however made selfless efforts to narrow the social and religious gap between the Hindus and Muslims through their teachings, by emphasizing the similarities and by their unequivocal emphasis on the importance of true love to God as the basis of all religious worship. But they did not succeed much due to the religious bigotry of the Mughal rulers. Most of the Mughal emperors were opposed to the Sikh Gurus and persecuted them at the slightest opportunity. The Guru Granth Sahib in its present form was originally compiled by the tenth Guru, Guru Gobind Singh. The Scripture contains 5894 hymns of pure devotion composed in 18 ragas (musical patterns) by the ten Gurus and 15 Hindu and Muslim saints such as Kabir, Shiak Fareed etc. Of these Guru Nanak contributed 974 hymns. The hymns were originally composed in different languages such as Persian, mediaeval Prakrit, Hindi, Marathi, old Punjabi, Multani, and several local dialects. The basic philosophy of Sikhism revolves mainly around three concepts: Naam, the name of God, Shabad the word of God and Sat Sang, the company of the pious and the holy. These are the simple means to salvation. The Book teaches that outward rituals and indulgence in the worldly pleasure only bring us pain. What is required is inner purification, true devotion and surrender to God. The true Guru is the Naam, the name of God by remembering which constantly one can achieve salvation. However a Guru, who has become completely absorbed in the contemplation of Naam and has become united with God in thought and deed, can also help us to cross the world of illusion and taste the sweetness of the Lord. Special mention may be made of Japji, comprising of the thirty eight short poems of Nanak which appear at the beginning of the Adi Granth. It contains the essential teachings and beliefs of Sikhism and is considered to be very important. The poems are rendered in various ragas (musical modes) and are sung by Sikh devotees as a mark of devotion and respect to the Guru. Compiled in the sixteenth century and composed entirely in lyrical form, the hymns are mostly devotional in nature. During ceremonial occasions and functions, they are sung individually or in a chorus by the devotees with utmost devotion, love and humility. The Guru Granth Sahib can be truly called the essence of all religions, since it contains hymns and verses from many sacred books of various religions and sects of Hinduism. This is the Khalsa Consensus Translation, which is highly regarded by scholars. Jup: In seven parts, Jup describes the greatness of the Supreme Lord. Its very recitation or mere listening is bound to evoke deep devotion in the heart of the listener. So Purakh Naam is the breath of life. Those who have not sought the sanctuary of the true Guru and the Sangat are cursed. Those who serve God find peace. Sohila Gurmukh is the living expression of Guru's Words. The teacher of teachers is one who appears in many forms. Meeting the Guru your affairs are resolved. Purchase only that for which you have come into this world. Siree Raag The splendor of maya is deceptive. In that place where the lowly are cared for, there His blessings rain down. Tell your troubles to the One who is the source of all comfort. The world is a drama staged in a dream. The body is pure in which the True Name abides. As we plant, so we harvest and eat. Raag Aasaa This is also a very long chapter with 142 parts. Included in this are the compositions of Kabir, Dhanna, Daiv Shaik Fareed, Sant Ravidas, etc. Raag Goojaree I would make Your Name the sandalwood, and my mind the stone to rub it on. His lamps are the sun and the moon. Cursed is that life, in which the Lord's Love is not obtained. When God instills His fear, a balanced detachment springs up in the mind. The most fortunate ones serve their Guru; there is no difference between the Divine Guru and the Lord. Raag Dayv Without the Name of the Lord, the beautiful are just like the noseless ones. O my mind, act as it pleases God. O mother, without the Guru, spiritual wisdom is not obtained. Whenever something comes to mind, it is You. In this world, I have seen love to be false. Whether they are spouses or friends, all are concerned only with their own happiness. Raag Bihaagra All are travelers, who have gathered under the world-tree, and are bound by their many bonds. In this world, the best occupation is to sing the Praises of the Naam. Rituals and religions are all just entanglements; bad and good are bound up with them. The ignorant fools pick up stones and worship them. But when those stones themselves sink, who will carry you across? Raag Wadahans When the mind is filthy, everything is filthy; by washing the body, the mind is not cleaned. This mind is not controlled by any other discipline, except the Sanctuary of the True Guru. Emotional attachment to Maya is darkness; without the Guru, there is no wisdom. Dwell forever and ever upon the Lord God, and you shall find the gate of salvation. Raag Dhanaasaree The body is the paper, and the mind is the inscription written upon it. The ignorant fool does not read what is written on his forehead. He alone is a Yogi, who understands the Way. He alone is a Qazi, who turns away from the world, and who, by Guru's Grace, remains dead while yet alive. He alone is a Brahmin, who contemplates God. The Lord saves His Saints. Raag Jaitsree As Gurmukh, purchase the merchandise of the Naam. Whatever I wish for, I receive; my hopes and desires are fulfilled, meditating on God. I have enshrined that love which drenches my soul. Nothing seems sweet to His devotees, except the Lord. When God becomes merciful, Maya does not cling. Raag Bairaaree God is supreme and is incomprehensible even to Gods. Meditate upon God constantly for salvation. Whatever your mind desires, that you will obtain. Raag Soohee Build the raft of meditation and self-discipline, to carry you across the river. That vessel alone is pure, which is pleasing to Him. One who looks upon all with a single eye, and knows them to be one and the same - he alone is known as a Yogi. That stone, which he calls his god, that stone pulls him down and drowns him. Raag Bilaaval I serve the Lord of the Universe; I have no other work to do. How rare is that person, who looks upon life and death alike. He alone serves the Guru, O Beloved, unto whom the Lord becomes merciful. They are said to be very fortunate, O Beloved, who who dwell in the Society of the Saints. Raag Gond Through the Naam, my affairs are resolved. My mind is accustomed to the Naam. Through the Naam, I have become fearless. Let your mind accept the Word of the Guru's Shabad, and His Mantra. Twenty-four hours a day, sing the Glorious Praises of the Lord. This is the purpose of human life. Raag Raamkalee Please rid me of the desire to live, O my Lord and Master. In the midst of hope, remain untouched by hope; then, O Nanak, you shall meet the One Lord. The Langar - the Kitchen of the Guru's Shabad has been opened, and its supplies never run short. Whatever His Master gave, He spent; He distributed it all to be eaten. Raag Nat Naaraayan Very fortunate are those who meditate on the Lord's Name; they alone are the Lord's devotees. Whoever chants His Name is liberated; whoever listens to it is saved, as is anyone who seeks His Sanctuary. The treasure of the Naam, the Name of the Lord, is everything for me. Raag Maale Gaaura The Panch Shabad, the five primal sounds, vibrate and resound in the Court of the Lord. The Naam, the Name of the Lord, is the Purifier of sinners; the unfortunate wretches do not like this. One may give donations in charity at Prayaag, and cut the body in two at Benares, but without the Lord's Name, no one attains liberation, even though one may give away huge amounts of gold. Raag Maaroo All must abandon their worldly homes; no one remains here forever.Forgetting the Lord, your own virtues shall rot away. The night is a net, and the day is a net; there are as many traps as there are moments. The food of spiritual wisdom is the supremely sweet essence. He alone is a Qazi, who practices the Truth. He alone is a Haji, a pilgrim to Mecca, who purifies his heart. He alone is a Mullah, who banishes evil. Raag Tukhaari The Word of the Shabad is the lamp which illuminates the three worlds; it slaughters the five demons. I am a stone in the Boat of the Guru. Please carry me across the terrifying ocean of poison. Without the Fear of God, His Love is not obtained. Without the Fear of God, no one is carried across to the other side. Raag Kaydaaraa That person, upon whom my Lord and Master showers His Mercy - the Lord attunes that one to Himself. Let my mind become the dust of all; may I abandon my egotistical intellect. One who eats and drinks countless delicacies is no more than a donkey, a beast of burden. In the Fear of God, is the Love of God. You live in a house of sand, but you still puff up your body - you ignorant fool! Raag Bhairao The Guru is Divine; the Guru is Inscrutable and Mysterious. Serving the Guru, the three worlds are known and understood. Without the True Word of the Shabad, you shall never be released, and your life shall be totally useless. The Yogis, the householders, the Pandits, the religious scholars, and the beggars in religious robes - they are all asleep in egotism. In this Dark Age of Kali Yuga, glorious greatness is obtained through the Lord's Name. 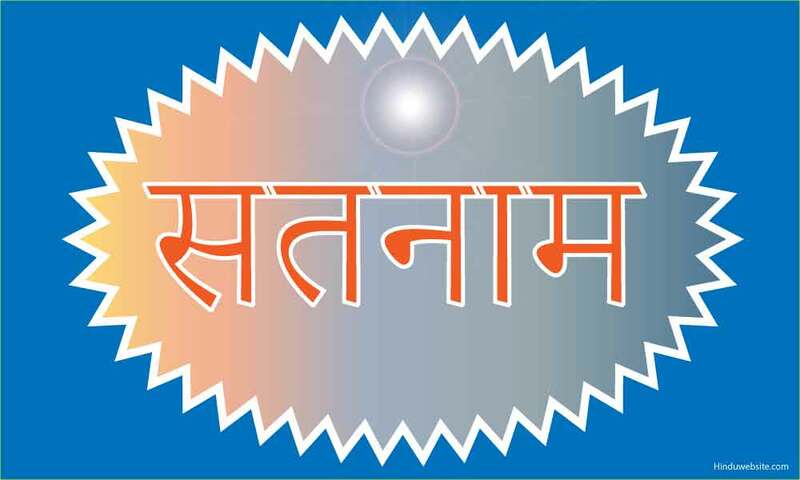 Raag Basant Karma is the tree, the Lord's Name the branches, Dharmic faith the flowers, and spiritual wisdom the fruit. If the mind is not pure, what use is it to hold the breath at the Tenth Gate? If someone's soul is polluted within, what is the use of his traveling to sacred shrines of pilgrimage all over the world? This mind is released, only when it meets with the True Guru. Raag Saarang O my mind, chant the Name of the Lord, and study His Excellence. That poison which you believe to be your own - you must abandon it and leave it behind. What a load you have to carry on your head! Only the Word of the Holy Saint is eternal. Without the Name, everyone is poor. Hearing the Name, all supernatural spiritual powers are obtained, and wealth follows along. Water is the father of the world; in the end, water destroys it all. Raag Malaar Pain is the poison. The Lord's Name is the antidote. One who sings the Glorious Praises of the True Lord, merges in the True Lord. The Shabad is the Guru's Gift. It shall bring you lasting peace deep within; it shall always stand by you. O Pandit, O religious scholar, reflect on this in your mind. Why do you read so many other things, and carry such a heavy load? Those who follow the Guru's Teachings are the true spiritual warriors. Raag Kaanraa Meeting with the humble Saints, filth is washed away. My mind is the dust of the feet of the Saints. Whoever remembers his Guru, shall not suffer sorrow, even in dreams. Devotion is the natural quality of God's devotees. Blessed is that love, which is attuned to the Lord's Feet. He alone is liberated, O Nanak, whose True Guru is Good. The Sat Sangat, the True Congregation of the True Guru, is the school of the soul, where the Glorious Virtues of the Lord are studied. Raag Prabhaatee Whoever the Lord blesses with forgiveness - his affairs are perfectly resolved. Your Name is the only cure; nothing else works, O Infinite Creator Lord. That body in which the Naam does not well up - that body becomes miserable. There is no sacred shrine equal to the Guru. The Guru encompasses the ocean of contentment. Both the singer and the listener are liberated, when, as Gurmukh, they drink in the Lord's Name, even for an instant. Raag Jaijaavantee You must understand that this wealth is just a dream. Why are you so proud? The empires of the earth are like walls of sand. Night and day, you listen to the Puraanas, but you do not understand them, you ignorant fool! Death has arrived; now where will you run? Phunhay, Fifth Mehl The Lord is found in the Saadh Sangat, the Company of the Holy. I have seen all places, but none can compare to You. The eyes which do not see the Holy - those eyes are miserable. The ears which do not hear the Sound-current of the Naad - those ears might just as well be plugged. The tongue which does not chant the Naam ought to be cut out, bit by bit. Chaubolas, Fifth Mehl How long can the physicians go on, suggesting various therapies? You fool, remember the One Lord; only He shall be of use to you in the end. Shaloks Of Devotee Kabir Jee Kabir, earrings made of gold and studded with jewels, look like burnt twigs, if the Name is not in the mind. Kabir, rare is such a person, who remains dead while yet alive.Singing the Glorious Praises of the Lord, he is fearless. Kabir, she came to me in various forms and disguises. My Guru saved me, and now she bows humbly to me. Kabir, those who only preach to others - sand falls into their mouths. Shaloks Of Shaykh Fareed Jee Kabir, the Brahmin may be the guru of the world, but he is not the Guru of the devotees. He rots and dies in the perplexities of the four Vedas. Fareed, do not turn around and strike those who strike you with their fists. Kiss their feet, and return to your own home. If you desire your Beloved, then do not break anyone's heart. Swaiyas From The Mouth Of The Great Fifth Mehl Chant and vibrate the Name of the Lord, O Nanak, through the Teachings of the Saints. Meditate on the Lord with love in your soul. Lust, anger, egotism, jealousy and desire are eliminated by chanting the Name of the Lord. Those who serve Guru Amar Daas - their pains and poverty are taken away, far away. Glass is transformed into gold, listening to the Word of the Guru's Shabad. Shaloks In Addition To The Vaars One who understands himself, meets with the Lord, and never dies again. If you wish to put out the fire, then look for water; without the Guru, the ocean of water is not found. Without the Shabad, everyone is dead. True love and affection are obtained from the Perfect Guru. Shalok, Ninth Mehl If you do not sing the Praises of the Lord, your life is rendered useless. Like a dream and a show, so is this world, you must know. None of this is true, O Nanak, without God. Mundaavanee, Fifth Mehl & Raag Maalaa I had looked upon the world as my own, but no one belongs to anyone else. Each Raga has five wives, and eight sons, who emit distinctive notes.